• Departure Dates: Guaranteed departures everyday with a minimum group of 2 adults. 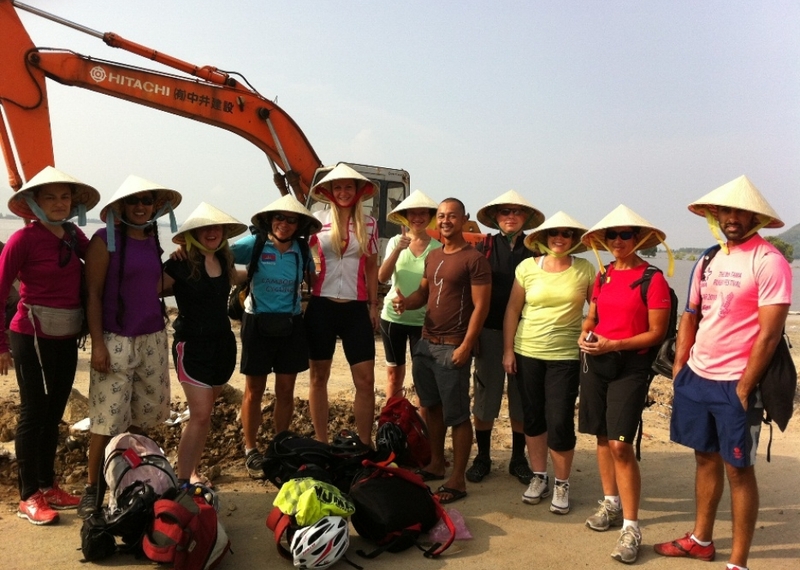 The cycling trip with Vietnam Cycling Tour starting from Bangkok (thailand ) and finish in phnompenh (Cambodia), pedaling past scenic coastline. 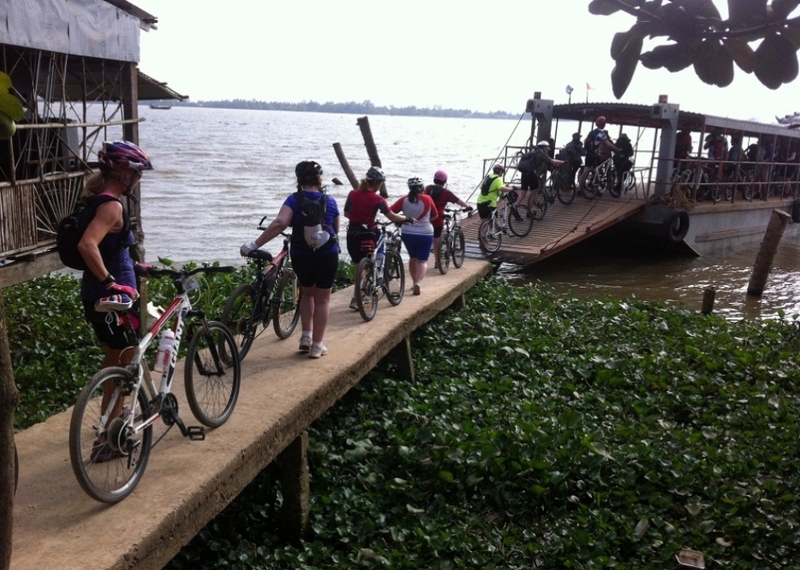 Cross into Cambodia at the Cham Yeam Boder riding dirt roads to Kok Kong, the most southwestern province of Cambodia After relaxing day in one of the best island in Thailand name Kok Chang island. And especially,you will have a chane to stay ,experience and learn more about the culture and the real life from the local homstay in Kirirom.From the boder the road is the dirt road ,there are some pothole as well as from Sihanouk to Campot . The 105km from Sihanouk to Campot is probably the worst road but still interesting things to see along the road. We ride about 700 km mostly on asphalt roads and sometimes broken road or vehicle-width dirt roads, which may be smooth, gritty, stony, rocky, rutted, loose or hard-packed.A cycle tour is undoubtedly the best way to really connect with a country, its people, to experience the tempo of village life, and escape the well trodden tourist trail. 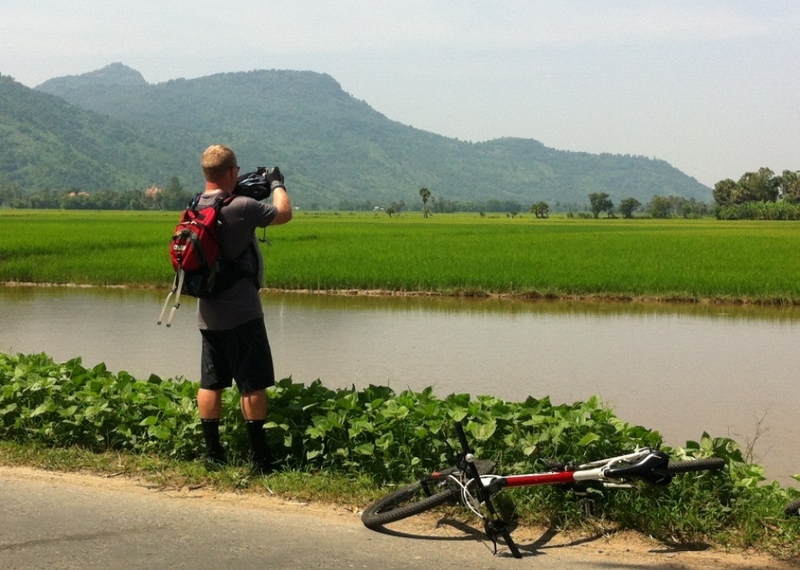 For anyone who wants to discover the real Thailand and Cambodia, this is the biking tour you should book! 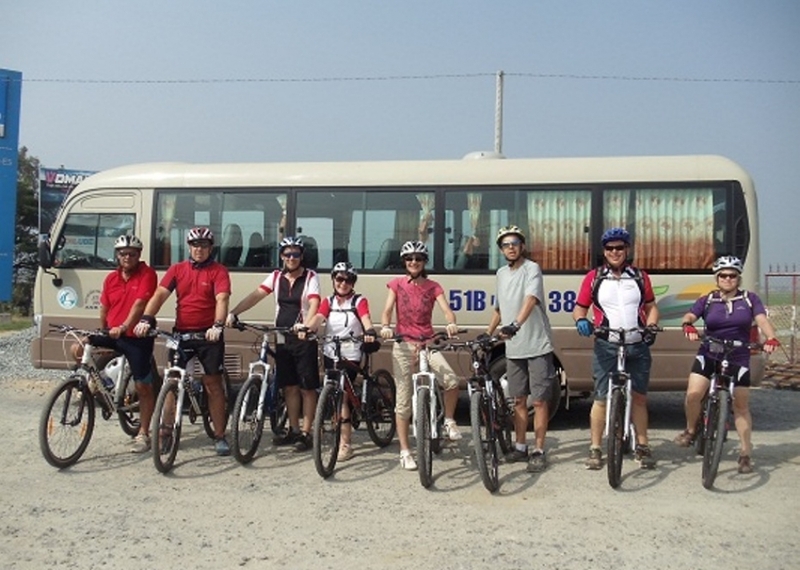 Vietnam Adventure Cycling Tour guide will pick you up at the hotel and transferred south away from the busy streets of Bangkok to the laidback and beautiful Laem Mae Phim Beach. Here you will have some free time to relax, have lunch and maybe even take a dip in the clear warm waters of the Gulf of Thailand. 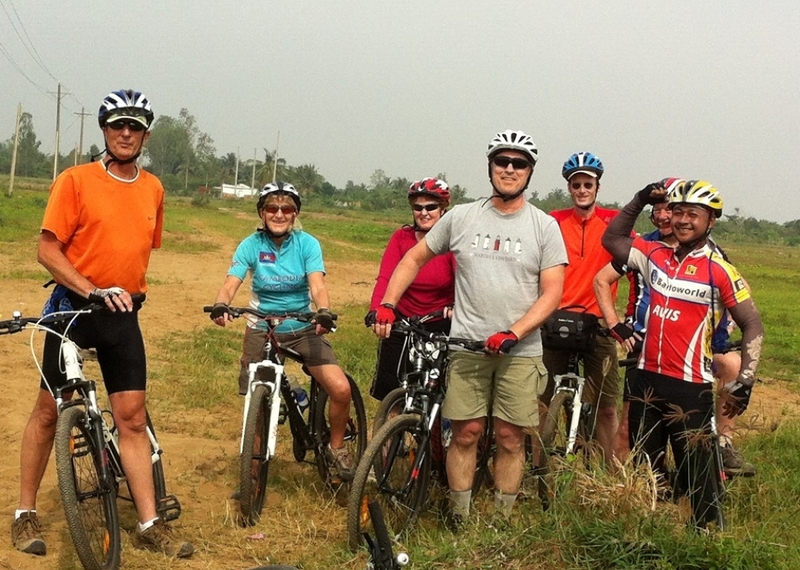 In the afternoon you will spend some time preparing your bikes and going on a gentle warm up cycle ride through the surrounding countryside, nearby villages and fruit plantations (this region of Thailand is renowned for its exotic fruit). This short bike ride allows you to get to know your fellow cyclists as well as ensuring your bike is working properly. Back at the resort you will enjoy your traditional Thai 'Welcome' dinner. Get up early as you acclimatize to the weather. The bike ride hugs the coastline as you pass from beach to beach on small local roads that are very quiet to traffic, the seascapes are marvelous. This is an interesting bike route that lets you see the local Thai way of life, as you cycle through local fishing villages, sea food markets and plenty of temples where you can stop for a well earned rest and refreshments. 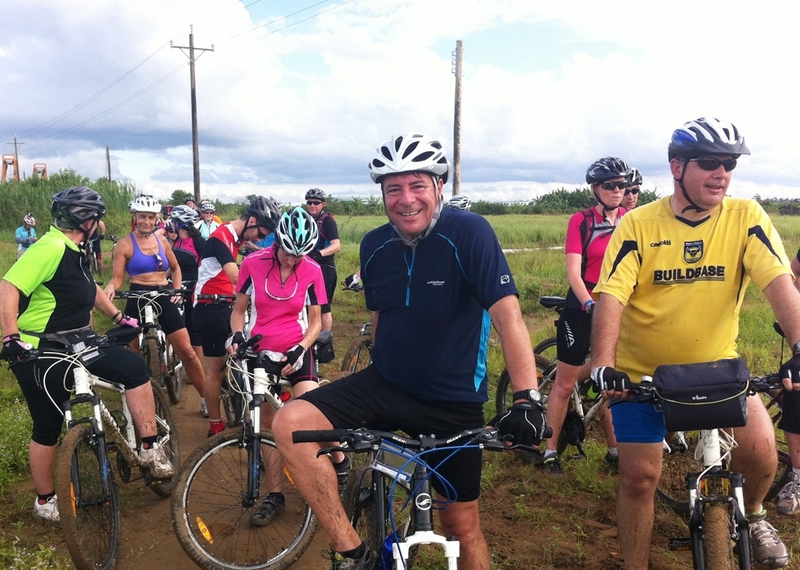 The mangrove swamps and fruit plantations add a diversity to the scenery on this very picturesque of rides. You also take some short ferry crossings which help to save some distance by taking you directly across the estuaries. You finish the bike ride right on the quiet beach of Chaolao. From here it is so easy to take a refreshing dip in the sea before dinner. Today is a easy day as you cycle through 46km with some steady climbs. Initially you bike inland and notice the scenery changing from coastline to forests. Again this bicycle ride is on small paved roads that have little traffic and are a joy to cycle on. You are now in Chantaburi Province which is well known for its fruit and you will see and taste plenty as you pass by plantations, forests and lots of small local villages get the bus transfer to Trat city for the boat trip (it take around 45 minute by boat).Over night on the Kok Chang island. Today is a freeday for all of you to explore and relaxing in the island by your own, have fun !! Morning after breakfast at the hotel, taking the boat trip get back to mainland. 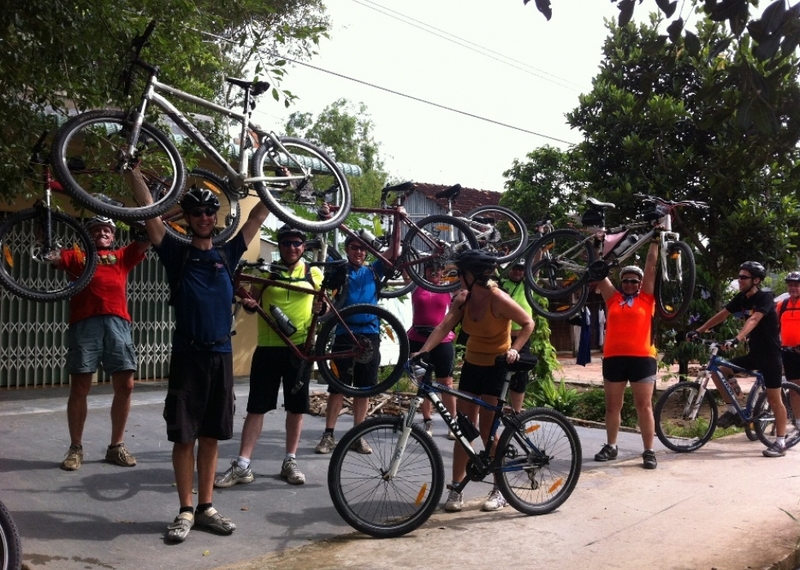 our bus will pick you up at the boat station and the bike will be ready for us also.after relaxing day for recovering the energy ,we will do the long cycling day to the boder betwen Thailand and cambodia . Cycling along the main way ,the road getting busier and busier as we getting closer to the boder.crossing the boder and cycling a few Km more to the hotel In Kok Kong city .Overnight in Kok Kong city. Breakfast at the hotel. 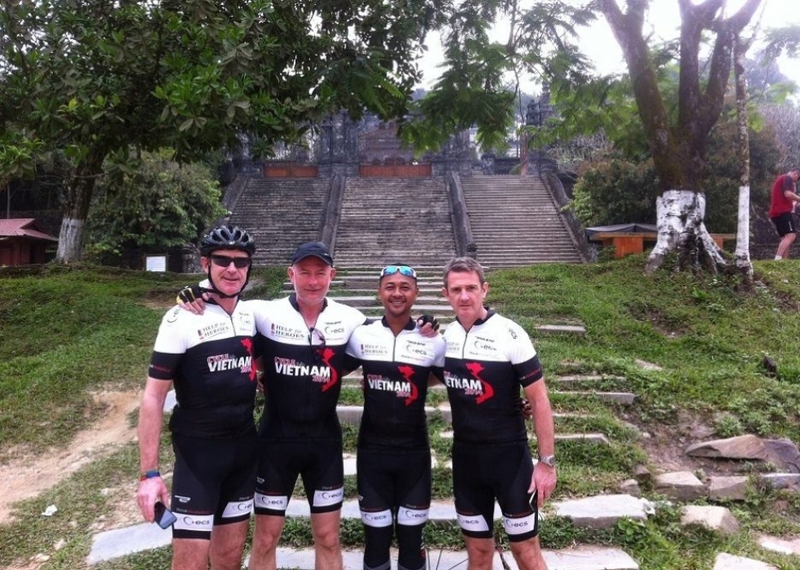 Today, we cycle 105km on one of the most challenging part in Cambodia. We begin with the 15km through 3 hills from Siahnouk Ville. It is a breath taking but more down hill than up hill. So we can enjoy the ride before the first snack stop. Turn right at Veal Rinh after 43km toward Kampot and the rest of the day is flat. We cycle passing the fishing village and the Muslim Mosque, the scenery changes from the beach area to the mountain range where we cycle along the Bokor Mountain National Park until Kampot. Kampot is a more quiet town and famous for its pepper and durian production. Dinner and overnight in Kampot. After breakfast, the cycling will start from the hotel cycle to Phnompenh from Takeo passing Ta Mok's house, the former general commander of the Khmer Rouge. Takeo is a less visited town with much relation to the past history. 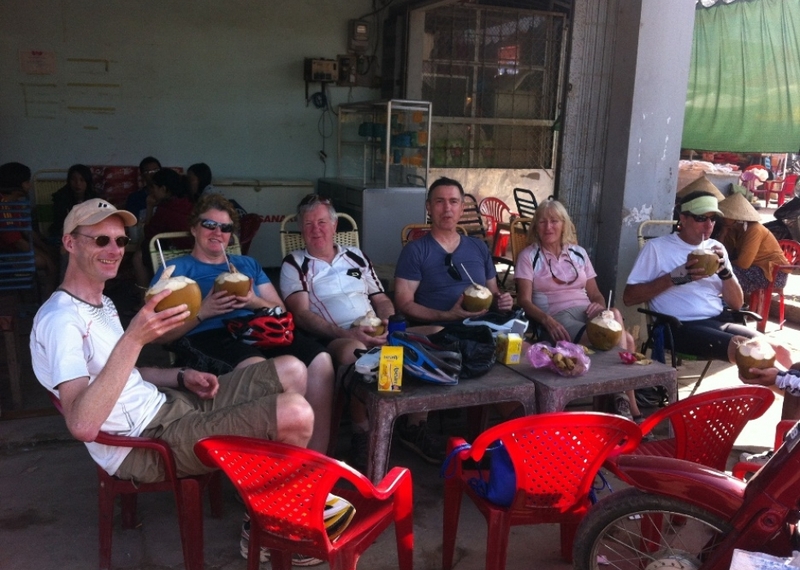 Take a break for water and snack before heading to Phnom Chisor to visit the hill top 11th century temple. Enjoy packed lunch overlook the scenery of the countryside .Afternoon cycle to phnompenh,visting the Yeary Pove temple before we get on the van and transfer to phnompenh.End of the trip.